Last year around this time, just before my return to Istanbul, I was having my last days in Helsinki. It was around mid-December. Most of my friends were already gone to celebrate the Christmas so I was pretty much left alone and I was discovering Helsinki for the last time. I was visiting my favorite spot, Orion to watch black and white movies from the mid-fifties and I was having a cup of coffee in the bar next to the film theater. Helsinki was in a way a perfect place to discover myself. I could walk by myself in the afternoon when the city was almost in the dark but you could still spot the blues in the sky as well as warm colors coming from restaurants and bars.. which was a perfect mixture to describe being alone and not feeling bad about yourself. Then The Social Network (2010) came around and I went to see it just before I came back. Besides the fact that I was inspired by the film, there was one thing that attracted me more than the film itself. And that was Rooney Mara who played the ex-girlfriend of the main character. 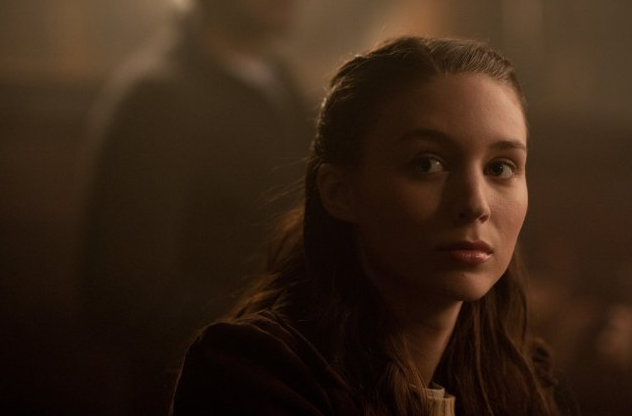 Rooney Mara was born in 1985 and this makes it my peer. I really don't know much about her except she is a very talented actress but I also believe that, deep inside, she is a very beautiful girl..
Today I had a chance to see The Girl with the Dragon Tattoo (2011) with my father and realized that the film was shot in Sweden. Suddenly I felt at home since I realized the filmmaker had benefited from this dark blues and warm colors that surrounds Scandinavian cities. I realized I missed being there. And Mara was there to produce this film. This connection made me happy.